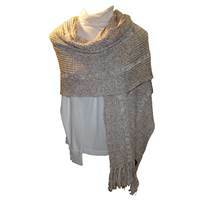 This stole, or shawl, is perfect for the brisk fall, cold winter, or chilly spring. It measures 17" wide and 72" long. It makes a wonderful gift for any special occasion.